Jacobaeus was born in Stockholm in 1911. He earned his M.S.E.E. degree from the Royal Institute of Technology in Stockholm in 1933. By 1935 he was employed by the LM Ericsson Telephone Company, where he would spend his entire professional career. He began at the firm as a sales and project engineer for signaling equipment. In 1939 he was transferred to the telephone switching department where he was promoted to systems engineer. By 1950 he was managing the company’s research department and three years later became responsible for firmwide technical operations. From 1963-76 he served as Senior Vice President of the company. During his 40-year tenure at Ericsson, Jacobaeus laid down the principal building blocks for the company’s crossbar system which represented a major breakthrough for Ericsson on the world market and which became standard equipment in many countries. His technical leadership and initiative were the driving forces not only in the field of crossbar technology but also in the development of electronic switching systems, notably in the area of time division multiplexing. His efforts resulted in such achievements as the first usable electronic switching systems for the U .S. Air Force and the development of stored program controlled systems at LM Ericsson. His pioneering research into dimensioning in switching systems led to a completely new discipline in the field of traffic theory which facilitated the accurate computation of blocking in link systems and optimized the design of switching matrices. In his doctoral thesis, published in 1950, he set down in principle and detail what became the standard work on congestion in link systems throughout the telecommunications industry. He retired in 1976, but continued to serve the firm in a consulting capacity. His leadership and innovations were instrumental in the rapid growth of Ericsson and its ascendance into the top tier of telecommunications technology companies. Over the course of his career, Jacobaeus amassed over 30 patents in the field of telephony and published numerous papers on telecommunications subjects. He was one of the founders of the first International Teletraffic Congress in 1955 and remained active in the steering groups of subsequent congresses, which contributed importantly to the development of telecommunications traffic theory. 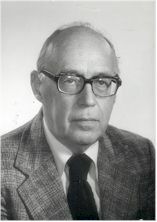 A member of the Swedish Academy of Engineering Sciences since 1957 and its vice chairman during 1969- 71 he was the recipient of the Academy's Major Gold Medal in 1976. He was elected a member of the Royal Swedish Academy of Sciences in 1974. He became a Fellow of the IEEE in 1977. He has served on a number of governmental technical committees over the years and in 1978 received an honorary Doctor of Electrical Engineering degree from the University of Lund in Sweden. In 1979, Jacobaeus won the 1979 Alexander Graham Bell Medal "For pioneering work in the theory of switching systems and technical leadership in the development of telecommunication systems." This page was last edited on 9 November 2017, at 13:36.